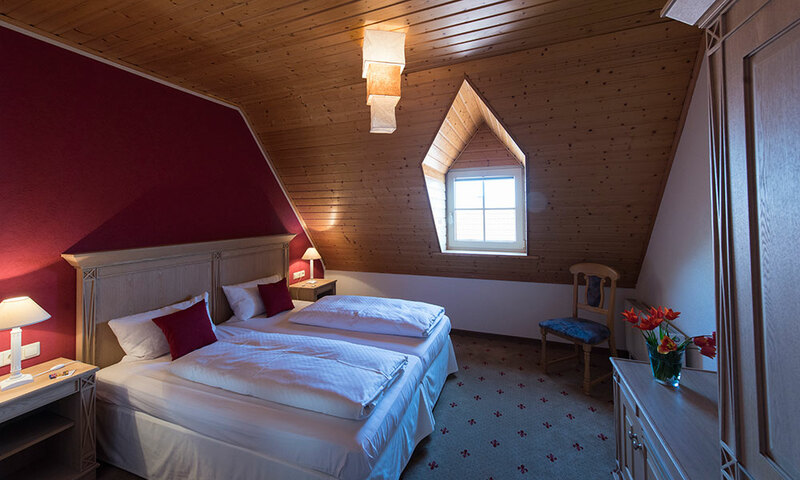 The 4 star hotel and restaurant Leinsweiler Hof is located in the middle of fertile vineyards at the bottom of mighty Madenburg fortress and in view of Reichsfeste Burg Trifels. It was constructed in 1937 as an impressive sandstone building intended to last for a thousand years. 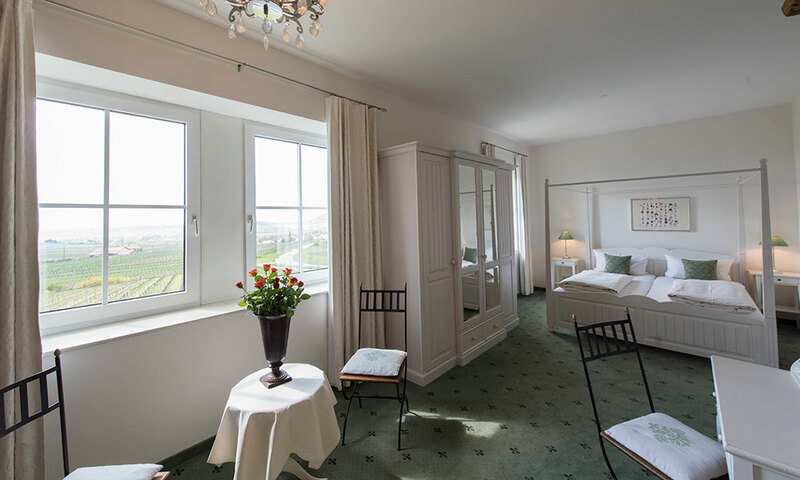 Our guests value the Leinsweiler Hof for its homely and highly comfortable rooms and its impressive wellness area. They also appreciate the beautiful surroundings of our hotel and the wide choice of opportunities for leisure and recreation. Gourmets love our restaurant for its award winning cuisine. The Leinsweiler Hof is always worth a trip. It is also a great place for festivities of all kinds. 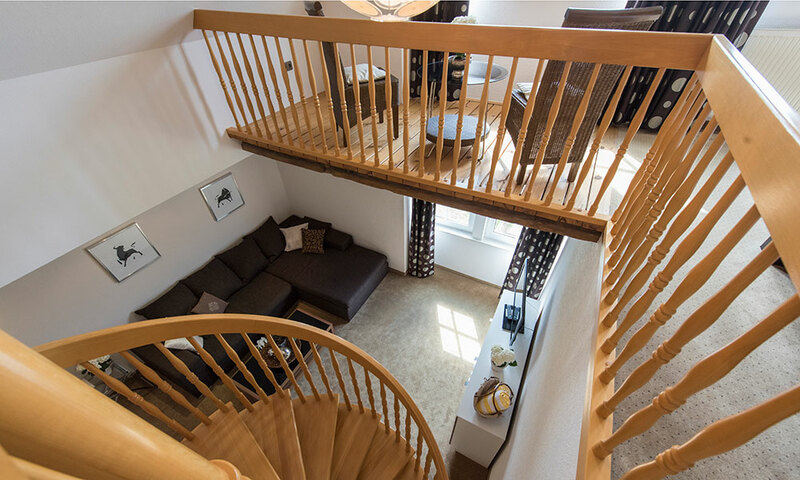 The Leinsweiler Hof offers its guests a wide range of rooms suites and duplex apartments. 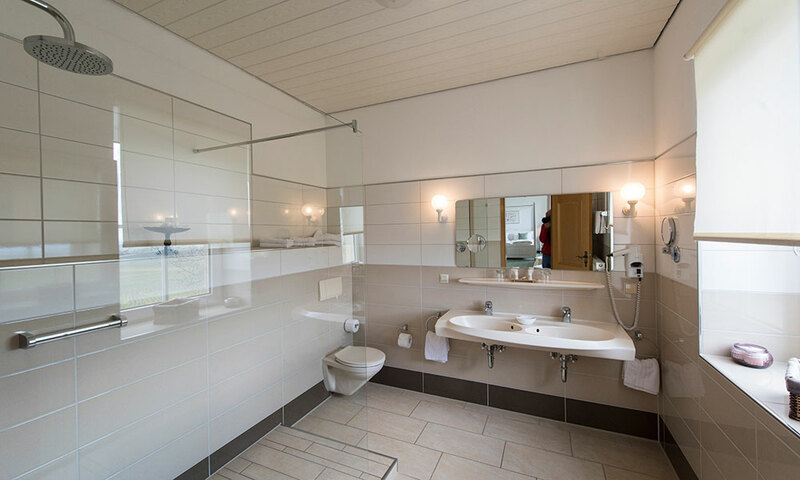 Each type of room has its very special feeling, all of them are characterized by a highly comfortable atmosphere. Some of them offer a breathtaking view over the southern Palatinate. Our individually furnished Rebland suites stand out for their very special character. Our guests enjoy them for their size, style and the great view. 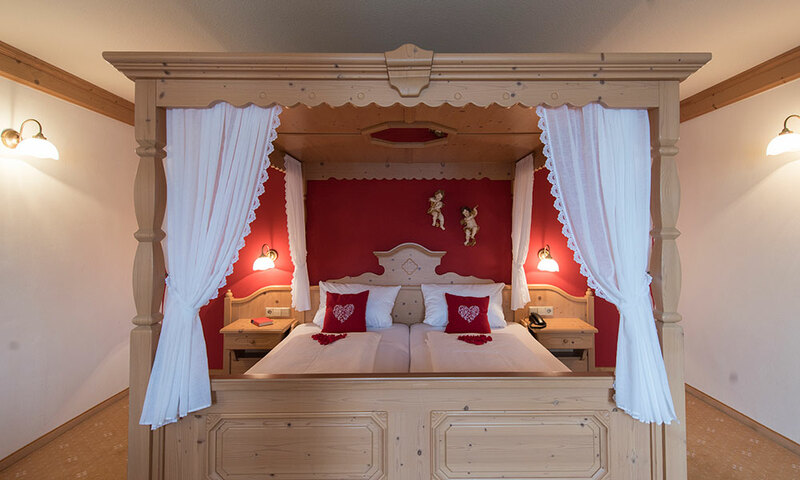 The romantic Kessler suite with its beautiful paintings is a place to dream and enjoy. 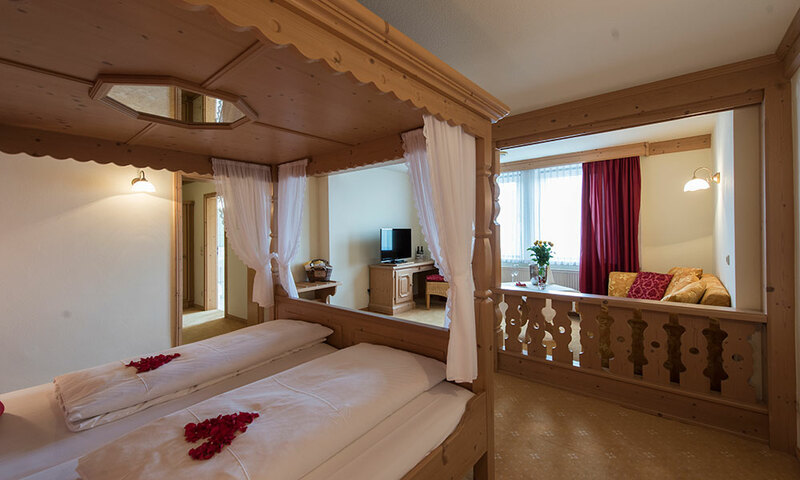 It is preferred by couples newly in love and also makes a perfect stay for all those still in love. It is one of our most beautiful rooms. From here you can see the remains of the nearby Madenburg fortress and enjoy a fantastic panoramic view across the Rhine valley all the way to the Black Forest. 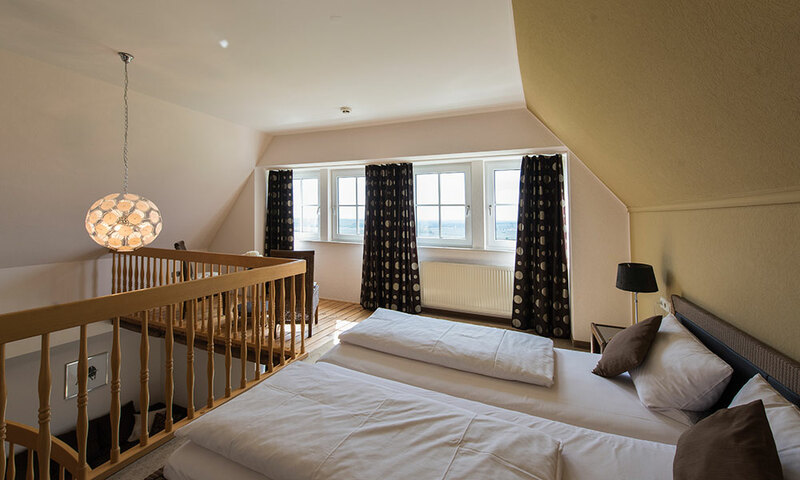 Our lovingly furnished South Palatinate rooms offer a great view of the surrounding landscape and are a perfect place to experience some beautiful days in our region. 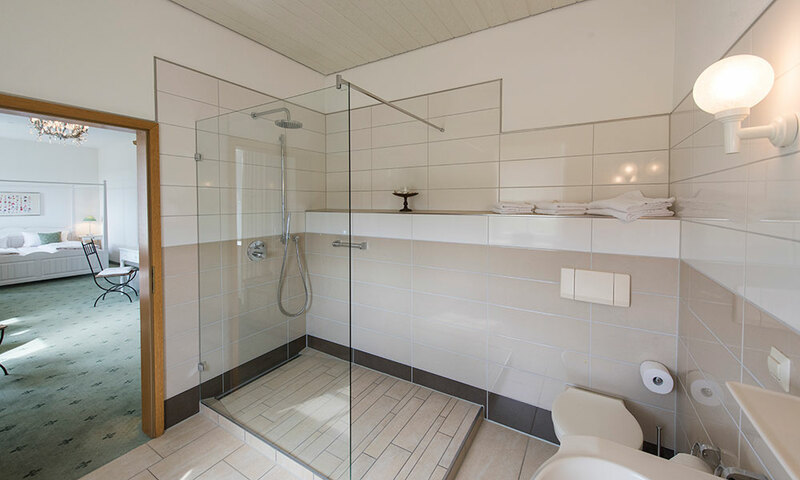 With their size of 45 square meters they offer ample space for you to relax and enjoy your stay. 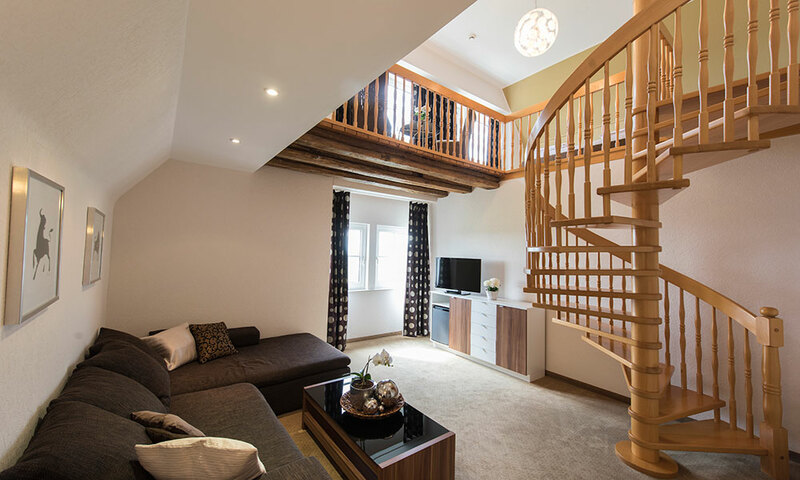 Our cozy duplex apartments are furnished in typical local country style and offer everything contributing to a comfortable stay. Their homey atmosphere partly under the roof makes them a great place to relax and enjoy the great view. 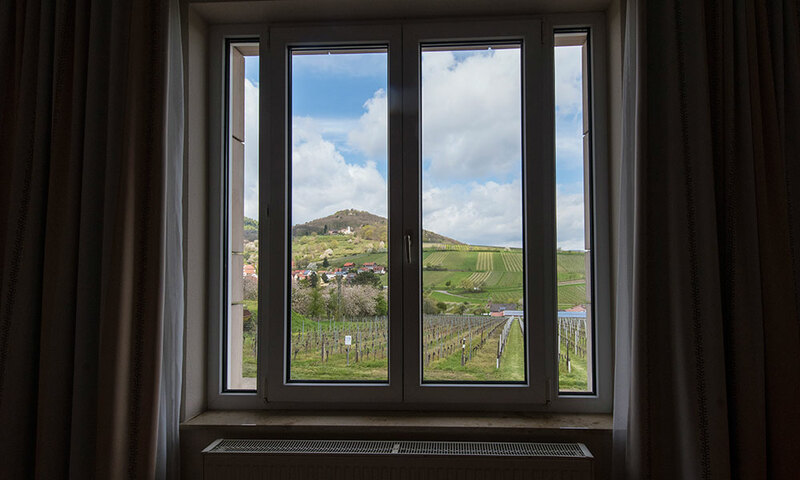 Our comfortable Weinland rooms with double beds (24 qm²) combine a comfortable ambience with a great view over the vineyard-covered hills of the Palatinate. 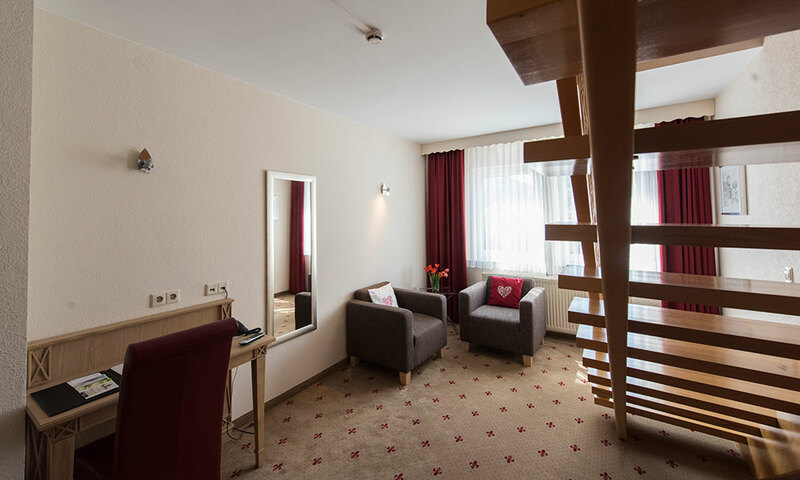 These rooms are located in our Weinland building and are all newly furnished. Because they do not offer a mini bar they are of 3 star category. 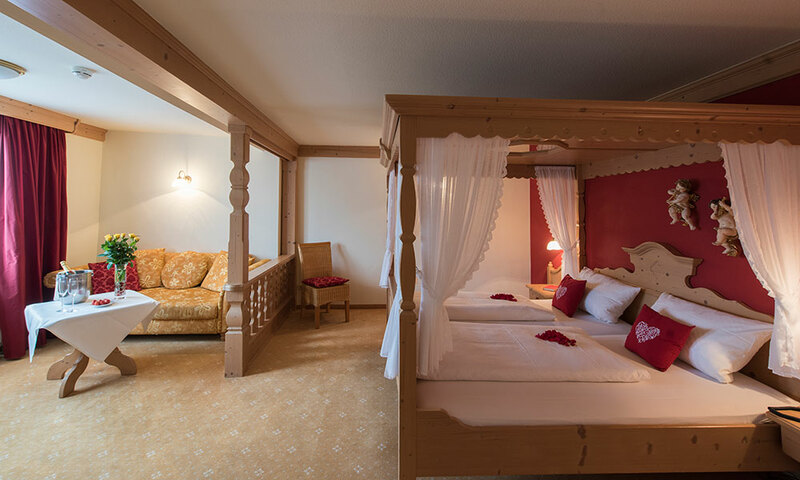 All prices refer to a stay per night in the respective room, including a rich buffet breakfast, use of the indoor swimming pool, the Rebenmeer outdoor swimming pool, the recreation rooms and the outdoor sauna with panoramic view. We offer special daily rates for conferences. Bar with open fireplace opened daily. Please provide us with some information for your non-binding booking request. For this purpose, please completely fill out the form.